Here are some pictures from our Halloween fun this year at the office. Have you ever had your teeth worked on by a gorilla? Baby Tran even made an appearance at the office in her matching gorilla costume! We hope you are all brushing and flossing with extra care after all that Halloween candy! 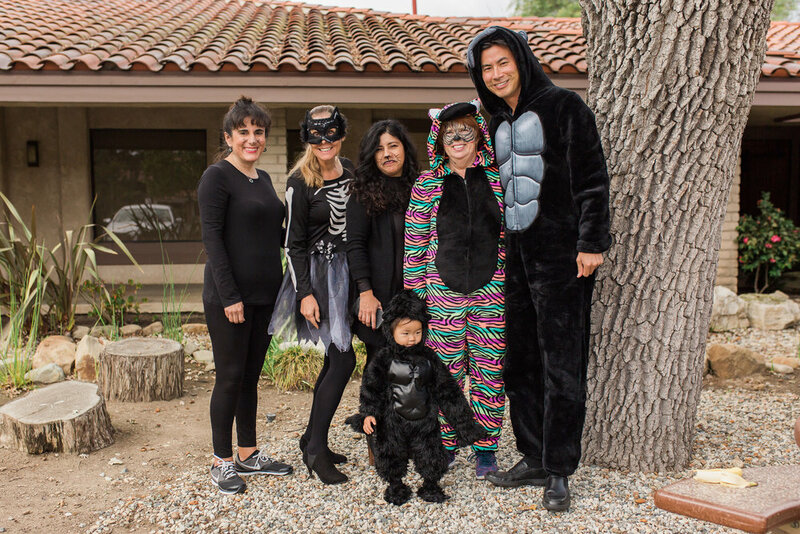 Halloween is around the corner and it's one of our favorite holidays here at Westlake Village Dentistry. Why? Well not for the Halloween candy of course, but because we get to dress up! What will we be dressing up as this year? Well, come in and visit us and find out! You just may have your teeth cleaned by Superwoman, Pocahontas or have your teeth worked on by a Jailbird or farmer!